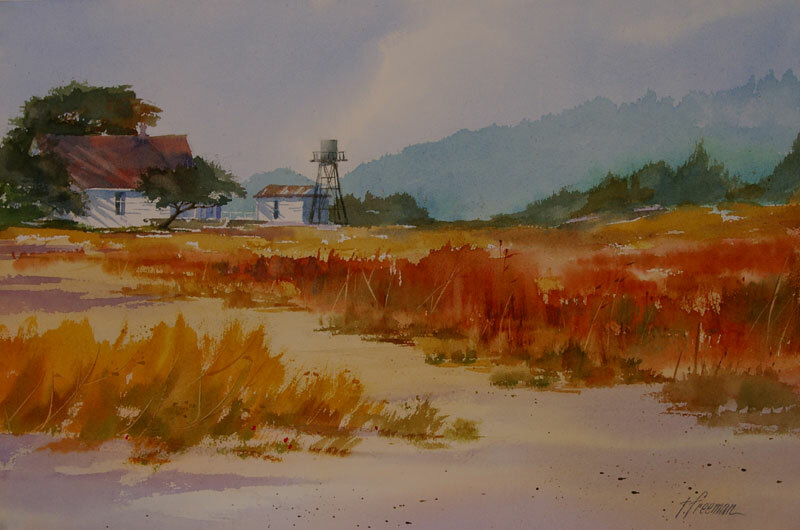 Thomas Freeman Original Watercolor Painting: "Life Was Simpler Then"
This came from a trip in the California Wine Country, viewing a number of old houses and water towers. There's weren't a lot of people around, and the farms were quiet and peaceful. It seemed like a simpler life. I added to the fields and hills to help set the scene and provide a more open feeling.